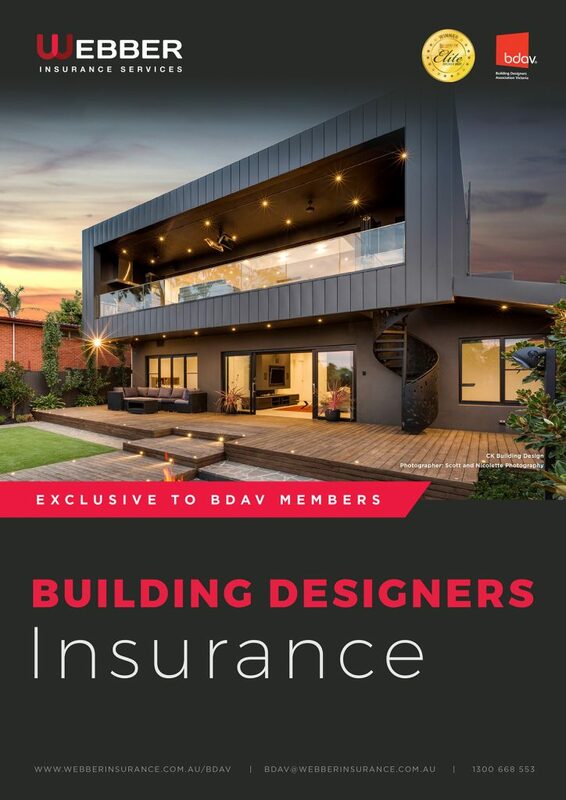 At Webber Insurance, we have been working to improve on the BDAV Insurance Program to ensure that it remains the best in market for Building Designers. This year, we are excited to have a brand-new insurer on board. We have worked hard to ensure that the insurance policy remains compliant with the VBA requirements and we are pleased to inform that it does not have any exclusions for non-compliant building materials. The new insurer also gives us the flexibility to choose your own cover limit with Public Liability cover now optional. Our premiums have also changed allowing us to be super competitive premium wise for all members. However, the best thing is that to get a quote, it is all completely electronic and you have options. If you want just a quick price to see just how competitive we are, complete your details here in the quick quote field and we will come straight back to you with a price – https://www.webberinsurance.com.au/bdav. It should only take you 30 seconds to complete! If you want a full written quote, please complete our simple online proposal form – https://www.webberinsurance.com.au/bdav-new-application. Most quotes will be sent back to you the same day. Our team is here to help. If you have any questions please feel free to contact us on 1300 668 553, email us at bdav@webberinsurance.com.au or jump online to our website and chat with us via LiveChat. We look forward to helping you out this year with your insurance requirements.